Microsoft .NET based application. Cloud-ready or in-house hosted. Accessible via web browser on desktop or on mobile devices. Integrated with plant sensors, weighbridges, and other corporate systems. Sharing of centralised information across the organisation, including multiple production sites, has clear benefits. 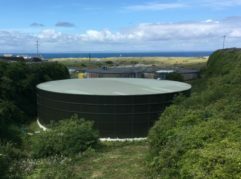 Fully BAS (Biosolids Assurance Scheme) compliant. Simple to use reporting functionality, for regular scheduled and ad hoc reports. Replacement of a mainframe based system to include latest technologies. Severn Trent Water plc (STW) adopted the BIO software platform to track, manage, and ensure regulatory compliance in relation to biosolids generated in water and wastewater treatment plants. The solution has allowed regulatory compliance, revenue generation from biosolids, lower IT costs, and an effective support service. Development and provision of the BIO software platform (including provision of the technical disciplines above). Compass Informatics has continued to develop the installed BIO Solution, and via a support agreement provide a collaborative working relationship.